Creekside Academy of Dental Assisting is proud to offer Career Placement Assistance! 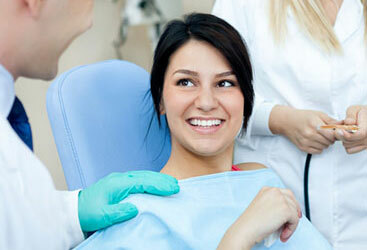 Applying for a position as a Dental Assistant may be a different experience then you have had in the past. Many Dentists will have their applicants first complete a formal interview where they may ask about your training, skills, objective, etc. The next step is often a working interview. During a working interview you will go to the office dressed in your scrubs and have the opportunity to show the Dentist your practical skills. This may include taking radiographs, performing sterilization, and chair-side assisting. To effectively prepare for these interviews it is important that you dedicate yourself to the course work in your Dental Assistant Program. Toward the completion of your program, Creekside Academy of Dental Assisting, will actively assist each student in finding employment opportunities. Our students receive guidance in preparing an effective resume that highlights their training, skills, and understanding of the dental field. To prepare for the formal interview, Creekside Academy of Dental Assisting, has dedicated a class to helping each student create a resume, practice interviews together, providing feedback on how to successfully answer common interview questions, and how to make a lasting first impression. To prepare for the working interview it is vital that you complete the 100 externship hours required for the Dental Assistant Program. These externship hours are intended to increase your knowledge, skill, and confidence in your career of study. We find that students who complete their externship hours find employment faster. Many students are offered employment by the Dentist they completed their externship with. 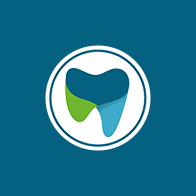 Our network within the dental community often leads to dental practices contacting us when they need to hire new employees or are looking for an extern. 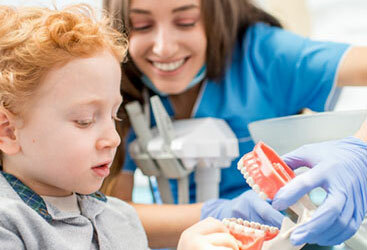 We provide our students with these inside leads along with information on dental practices in the area that are hiring. Students are welcome to use our fax machine or computer when submitting their resumes to positions. If you’re looking for an amazing dental assisting school in Utah, make sure to enroll in a program at Creekside Academy of Dental Assisting today. Visit our dental assisting school programs online and learn more about our enrollment requirements.